Who: youth (18-25 y.o.) from Georgia, Greece, Italy, Latvia, Moldova and Ukraine: 5 young people + 1 group leader representing each partner organization. The international youth exchange in Ukraine is the first stage of the bigger project“Splashes of Diversity”, where youth workers and youth from different cultural backgrounds will meet and experience non-formal and informal learning in intercultural environment. 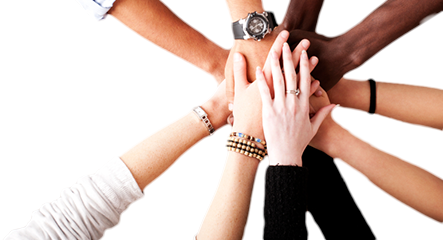 The project’s main focus is youth with fewer opportunities and different cultural background. During the youth exchange in Ukraine we will discover about the definition of culture in general, learn about participants’ cultures and intercultural communication. 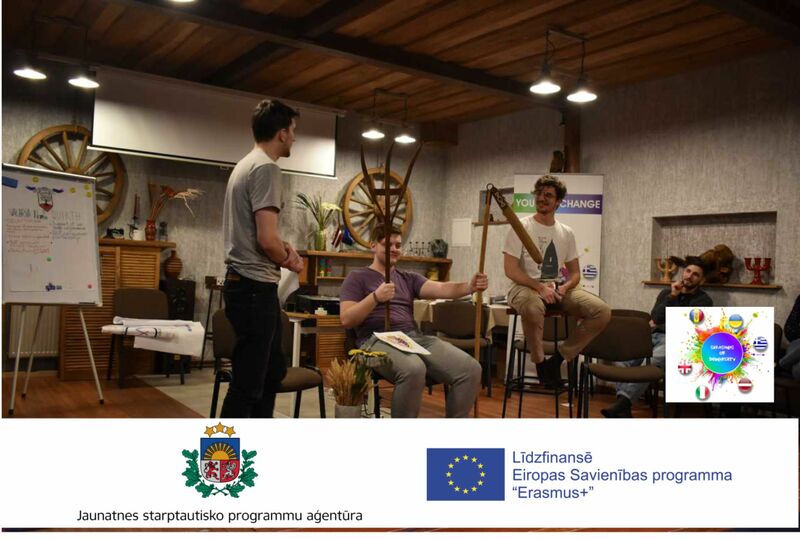 The final activity of the youth exchange will be theatre production which participants would have to create by themselves and to present to the local public. 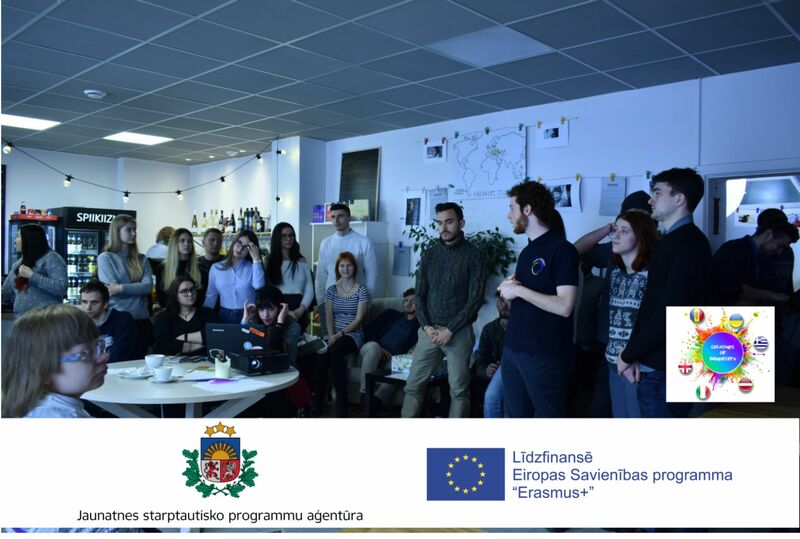 Second part of the project is youth exchange in Latvia which will take place on March 2017. It will be dedicated migration and inclusion of asylum seekers. 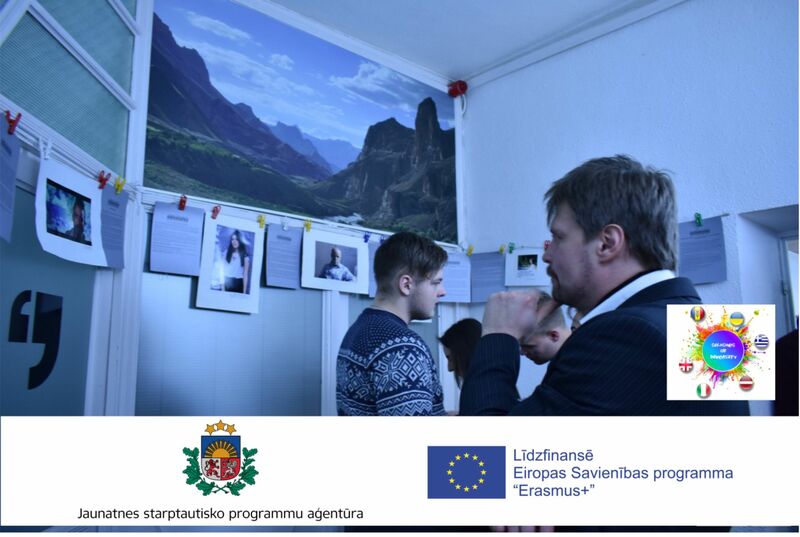 The final product of the youth exchange will be photo exhibition about migration and diversity which participants will present to the local public. It is expected that some of participants will take part in both youth exchanges, so the knowledge transfer will be provided. – to facilitate international exchange, networking and cooperation. This is the draft of the programme, but it’s flexible and everyone can contribute. The programme of the youth exchange will be facilitated by all the project team, group leaders and participants. It is expected active participation from everyone to make this youth exchange a great experience! – motivated to share the experience gained during the project in their communities and use the obtained knowledge on practice. 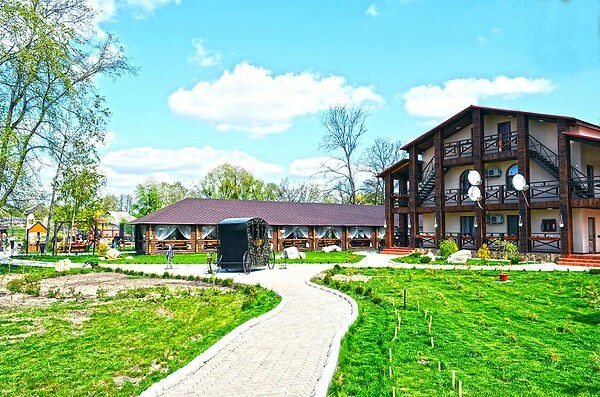 Accommodation: the participants will be lodged in rooms for 3 people in the bungalow park “Slavna” (Sumy region, Okhtyrka area).Food: you will have three meals and two coffee-breaks a day. Please, inform about your food habits and needs (fast, vegetarian, vegan etc). Participants from Ukraine: bring your national IDs (national passport, driver license or student ID card). The closest airport to the venue is Kharkiv (HRK). 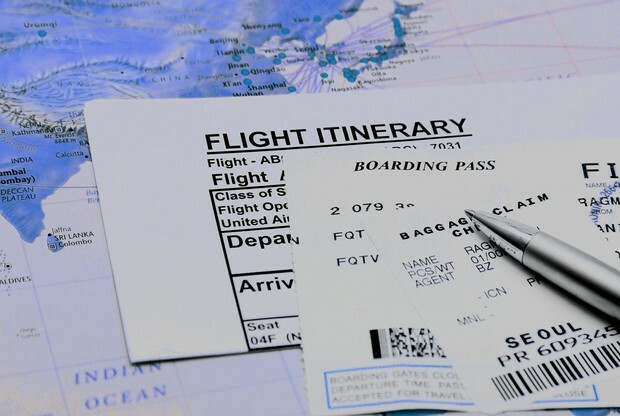 But there are not many flights, so it may be more convenient for you to fly from Kyiv: Boryspil (KBP) or Zhulyany (IEV). 2) If you fly to Kyiv: the trip will take around 6-7 hours (300 UAH ~ 11 EUR, one way). If your group will be coming by private bus please inform us about your approximate arrival time to the venue. Ukrainian participants, please plan your trip to Sumy. The trip from the venue to Sumy is around 2 hours (180 UAH ~ 7 EUR, one way). 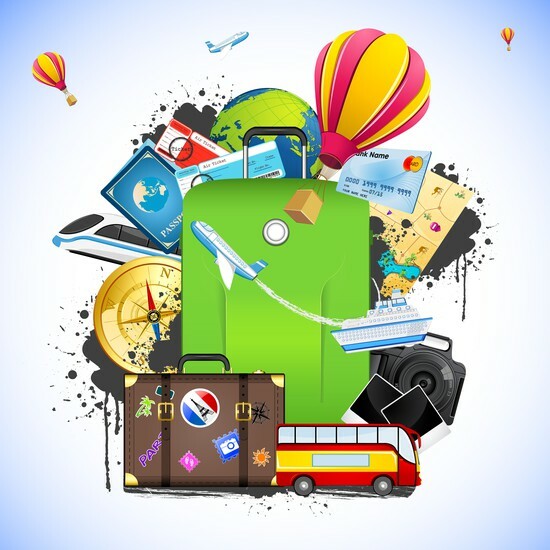 Group leaders: before buying any tickets for your groups, please contact Larisa Kondratenko (larisa.kondratenko.cei@gmail.com) and provide her information about your group travel plans (means, place of arrival, timing, prices). She will consult you about the best travel solutions and will help you to arrange your trip to the venue. Group leaders: you are welcome to consult with us before purchasing the tickets for your group. Please make the copies (better scan or photo) of all the tickets and invoices before your arrival to the youth exchange. Email those to Larisa Kondratenko (larisa.kondratenko.cei@gmail.com). A group leaders are responsible to provide a health insurance to all participants who does not have it. All participants are strongly advised to purchase private travel insurance, as the costs of private health care in Ukraine are high. 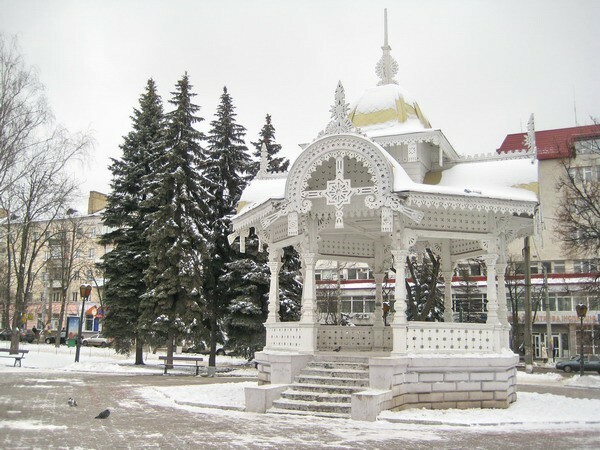 In December in Sumy region is usually cold weather. It could be snowy. Average temperature on the dates of the youth exchange will be around 0 – -5 degree Celsius.Please check the weather forecast before coming and make sure that you have an appropriate cloth. 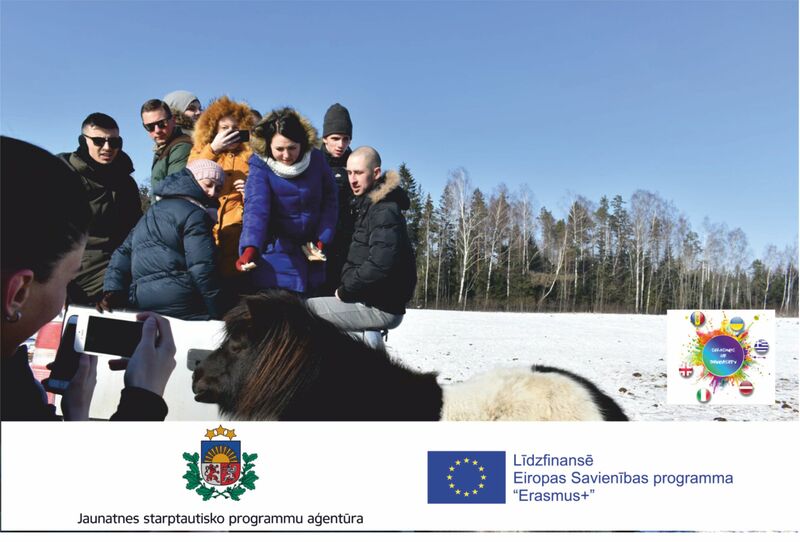 Youth exchange will be conducted in the resort in Sumy region situated near Okhtyrka town. Within the programme it’s planned to have trips to Sumy and Okhtyrka. Sumy is in north Ukraine is situated between Kharkov and Kiev, the country’s two biggest cities. 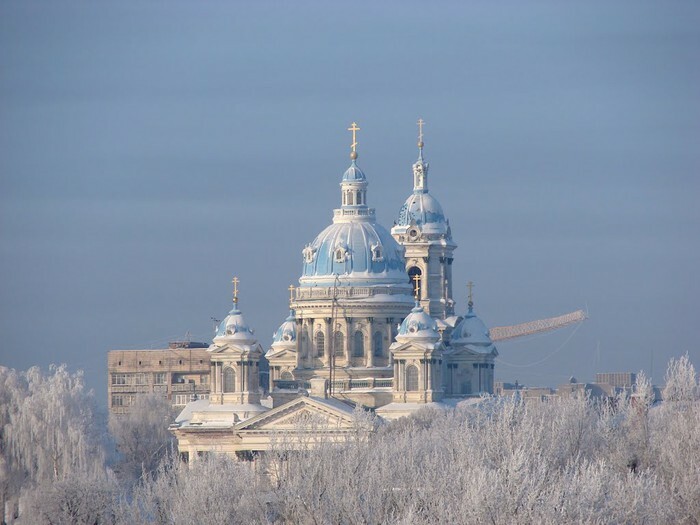 With a population of around 300,000 the city hosts its own cultural life, has several universities and is the economic centre of the Ukrainian Province called Sumy Region. 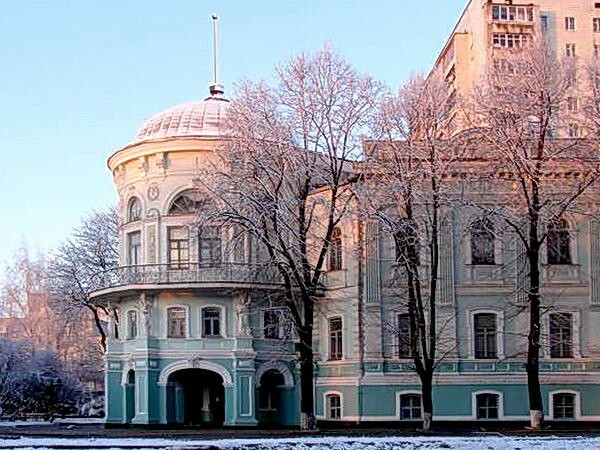 Founded in 1655 Sumy is 361 years old, and combines great history with modern life. The central street, Soborna, after reconstruction in 2001, is an exact copy of the street’s image at the beginning of the twentieth century, and the centre of Sumy is dominated by three big cathedrals. Outside of the small old town the city consists of large apartment buildings built in soviet times. The city is very green, lies on both sides of the Psol River, and is surrounded by lakes and forests. A city of beautiful churches and historical sights, Sumy also has a wide choice of the restaurants, cafes, and nightclubs. Okhtyrka or Akhtyrka is a city located in Sumy region of Ukraine. It is an important cultural, historical, and spiritual center of the country. The city is standing on the left bank of the Vorskla River. Population – 49,000 (2012). This district is the major producer of Ukrainian oil. Light woolen stuffs and domestic industries production, food-processing (corn, cattle and fruit) are among the other local industries. Also, there is a brewery of Obolon CJSC in the city. The settlement was founded by Poles in 1641. In the period from the 17th to the 18th century, it was one of the centers of Sloboda Ukraine, being almost as powerful as Kharkov itself. Okhtyrka was the place where the first Ukrainian tobacco manufacture was built in 1718. In 1781, the town received its coat of arms from the Russian ruler Catherine II. Europe without Borders ADVIT (Moldova). 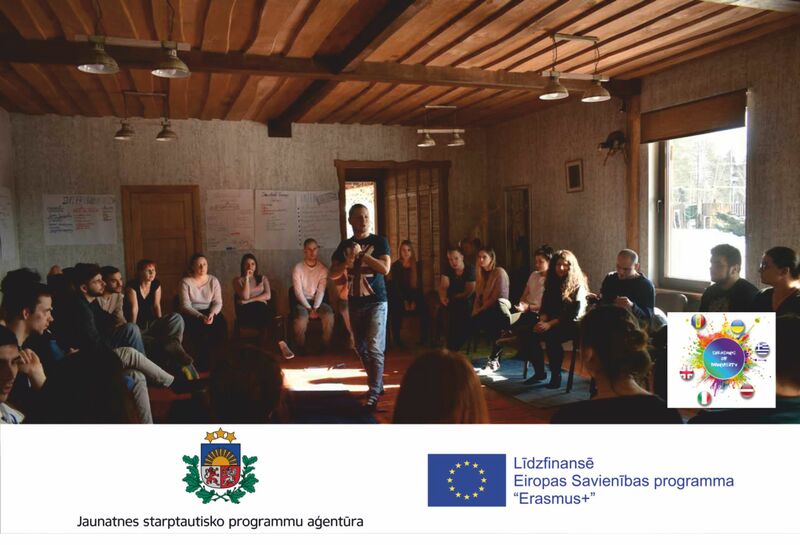 The project is co-funded by the Erasmus+ programme of European Union. 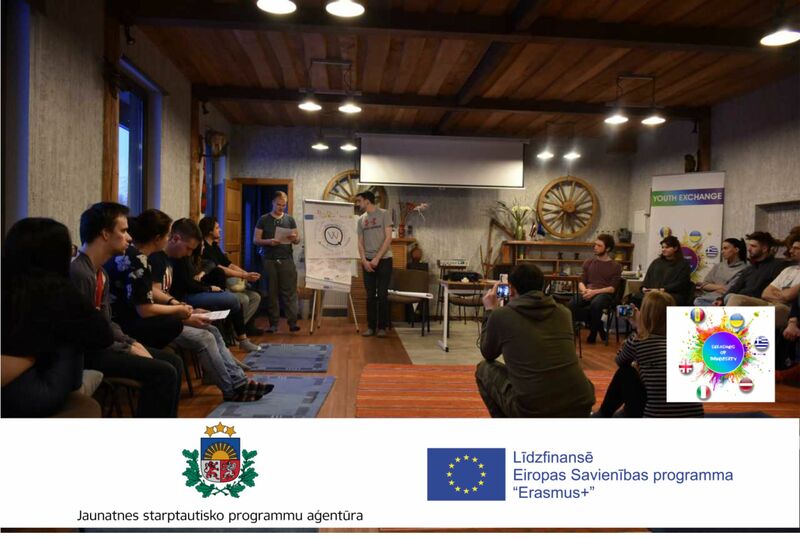 The project Splashes of Diversity was financed with the support of European Commission’s “Erasmus+: Youth in Action” administered in Latvia by the Agency for International Programs for Youth. This publication reflects only the author’s views, and the Commission cannot be held responsible for any use which may be made of the information contained there in.